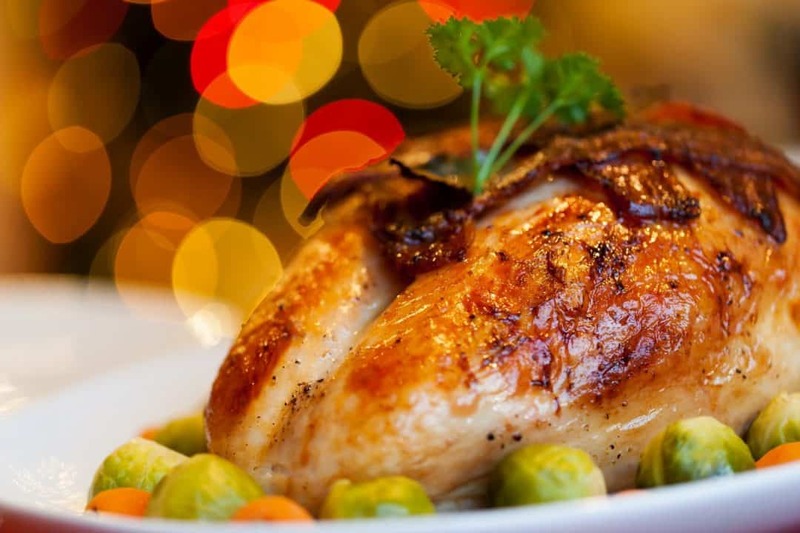 It’s that time of year again for entertaining family and friends, and we at C&W Appliance Repair want to share some home-style dinner recipes from Sub-Zero Wolf for the holiday season. Enjoy! In a large, clean 5-gallon bucket, mix cider, water, salt, and brown sugar until fully dissolved. Twelve to 15 hours before roasting, place turkey in brine. Cover and refrigerate in Sub-Zero refrigerator, or outside if it is between 20-40°F (-7-4°C). Preheat Wolf oven in BAKE mode at 325°F (163°C). Rinse turkey with cold water, and pat dry with paper toweling. Mix together butter and herbs, and gently tuck mixture under the skin of the turkey breast. Place turkey, breast side up, on a roasting rack in the roasting pan. Insert temperature probe into the turkey thigh, and set for 180°F (82°C). Roast until temperature probe chimes to indicate the temperature has been reached. Remove the probe and insert it into the other thigh to double check the internal temperature has reached 180°F. Remove turkey from oven, and allow it to rest uncovered for 30 minutes to 1 hour. If you don’t have time to brine your turkey, it is recommended you use the CONVECTION ROAST mode. Preheat Wolf oven in CONVECTION ROAST mode at 300°F (149°C). Rinse turkey with cold water, and pat dry with paper toweling. Mix together butter and herbs, and gently tuck mixture under the skin of the turkey breast. Place turkey, breast side up, on a roasting rack in the roasting pan. Insert temperature probe into the turkey thigh, and set for 180°F (82°C). Roast until temperature probe chimes to indicate the temperature has been reached. Remove the probe and insert it into the other thigh to double check the internal temperature has reached 180°F. Remove turkey from oven, and allow it to rest uncovered for 30 minutes to 1 hour. Turkey is usually served with dressing. 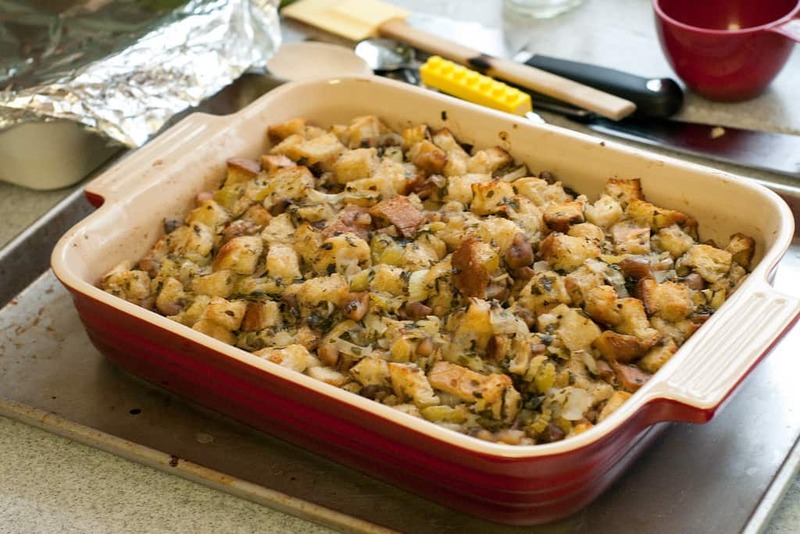 This recipe’s a delicious alternative to stuffing your turkey, or a way to make extra for that large gathering. In 8-quart stockpot on a Wolf gas cooktop, over high heat, bring broth, onions, celery, raisins, and sugar to a boil. Continue to boil for about 12 minutes, or until onions and celery are soft. Preheat Wolf oven in BAKE mode at 350ºF. Place bread cubes in a large bowl, and pour heated stock over bread, just until bread is well moistened or desired texture. (All broth may not be used. *) Mix together gently with a large spoon. Check consistency, adding more stock or sugar if needed. Season with salt and pepper to taste. Spread into greased 13×9-inch baking dish. Bake for about 1 hour. Allow to stand 15 minutes before serving. Stay tuned for more great holiday recipes from Sub-Zero and Wolf. Whatever savory dishes you’re preparing for the holidays, you’ll need your appliances in top running order. Call C&W Appliance Service at (855) 358-1496 or (214) 358-1496 for the very best in service to your appliances.